Committee duties & goals – Mount Vernon Lodge No. 219 A.F. & A.M. The Masonic Community Blood Program continues the time-honored tradition of Masons serving the public by strengthening community blood resources. Masons and the public at large benefit in a way that saves lives. While Virginia Masons have been active blood donors for decades, since its inception as a charitable focus of Virginia Masonry, the Masonic Community Blood Program, with Masons as organizers of blood drives and as individual donors, has generated donations of many thousands of pints of life-saving blood. The Masons of Virginia are proud to serve their fellow citizens through this selfless effort. Coordinate with the Grand Lodge Blood Drive Program Coordinator, District 1B Blood Drive Coordinator, and other District 1B Lodges in their blood drive efforts. Present a 5-minute talk on the Blood Drive Program during a stated communication. Goal: Number of blood units donated equals 15% or more of Lodge membership. Utilize other brethren as needed to plan and execute the program. We are taught as a core value in Freemasonry to look after our Masonic brethren and their families. Caring for our widows, within the length of our collective cable toe, is one our sacred obligations. The Widows Program is to help our Lodge to keep in touch with our fallen brother widow and to show her that she is still a vital part of our lodge. Work with the Lodge Secretary to manage and publish to all Lodge line officers a list of our widows. Coordinate at least 2 events during the year to reach out to our widows and stay connected with them, showing them we care and seeking ways we can continue to show our support for them (ex. A dinner in honor of our widows, holiday gift baskets and cards, etc). Call each widow at least 2 times a year to check on their health and welfare and to offer our support. Effectively plan and communicate events and involve line officers in these events. Mount Vernon Lodge No. 219, A.F. & A.M. is honored to offer the Robert C. Hutton Memorial Scholarship which provides three (3) $1,000 scholarships to deserving students who are enrolling in institutions of higher learning. Two (2) $1,000 scholarships will be given to students who are related to a current or former Mason who is in good standing of Mount Vernon Lodge No. 219, or who are members of a Masonic youth group: DeMolay, Rainbow, or Job’s Daughters. One (1) $1,000 scholarship will be given to a deserving student who is enrolling in an apprenticeship, vocational or trade school, or junior college program designed to graduate a tradesman. Continue to develop the scholarship program and governing documents so the program is effective and provides for scholarships according to the wishes of our fallen brother, Robert C. Hutton. Effectively promote and solicit sufficient applications for scholarships. Review applications and select deserving students for scholarship awards. Publicize the award of the scholarships in an appropriate manner within the local community. As Masons, we focus on families and the community, and we want to honor individuals who improve the community by making things better all around us. The Community Builder Award was designed to enable our Lodge to recognize outstanding non-Masons who have distinguished themselves through their service to the community, to the local, state or national government, to their house of worship, or to humanity. Thus, the award is presented to individuals who, although they have never been initiated into Masonry, have followed the same precepts, ideals and standards that have been established for Masonic behavior. Actively solicit input from Lodge members for community leaders who should be considered for recognition by Mt. Vernon Lodge #219. Reach out to community leaders who have been identified as meeting our precepts, ideals and standards, and discuss our awards. Ensure Community Award applications are completed, and Lodge members are informed and given ample opportunity to provide support those considered and chosen to receive an award. Coordinate with the DDGM in accordance with the Community Builders Award application instructions. Ensure awards are presented in a fashion appropriate for the recognition being offered, and in a public setting so others in our local community see their good work and our recognition of that good work. Goal: make two community awards a year. Our Lodge building is not just where we meet. The name Mount Vernon was selected due to the significant ties of Mount Vernon to our departed Illustrious Worshipful Brother General George Washington. It also is a physical structure within the community we serve. For these reasons, it is important we care for the facility and continue to find ways to improve the functional, historical, and community relations aspects our Lodge building serves. The Building Committee reviews the Lodge facility and develops plans and budgets to address the functional, historical and aesthetic needs of our Lodge building and grounds. The Building Committee palns and budgets are important inputs to the overall Lodge Long Term plan. Update as appropriate the list of projects required to address the physical building and grounds. Consider projects that address the functional, historical, and aesthetic needs to ensure Mt. Vernon Lodge #219 has a safe, secure meeting place that is a maintained in honor to our Most Worshipful Brother George Washington, and is aesthetically pleasing to our community. Work with the Long-Range Planning Committee to develop plans and programs to meet the budget needs to complete these projects. Work with the Trustees to ensure there are adequate monies earmarked for emergency Lodge repairs and maintenance as needed. In 2018 create a detailed plan to address the appearance of our building and the grounds. The current state of our facility does not honor MW George Washington, and is an eye sore to the community. The Lodge Audit/Finance Committee offsets the Treasurer’s job of providing an accurate and reliable set of accounting checks and balances to ensure that the lodge’s financial position is stated correctly. The Audit/Finance Committee prepares a budget (income and expenses) which will be available for the operation of the Lodge for the upcoming year. The Lodge books and minutes are also audited annually by the committee. Provide the Long Range Planning Committee inputs related to proposed dues increases to meet budget needs. Complete annual audit before the December 2018 stated communication. Include audit report as required of the Lodge finances and records. Provide audit results at the December stated communication. We have seen a continuing trend over the past several decades of decreasing membership and Lodge attendance. To get a handle on those problems we can control, it is important to have an overall Long Range or Strategic Plan. However, it is one thing to have a useful, well thought-out and worthwhile planning tool to help us revitalize our Lodge; but if it is difficult to implement, or too overwhelming to even consider; then these noble initiatives will just gather dust in our collective libraries. The Long Range Planning Committee should build on the existing Long Range Plan, refreshing the plan annually at a minimum, and adjusting to changes and opportunities as they arise. The Long Range Plan should provide the framework for the annual Lodge goals, plans, programs, and budget. Create the framework and initial Long Range Plan for Mount Vernon Lodge. Incorporate the inputs from the Building Committee and the Audit/Budget Committee. Seek inputs and validation from Lodge members. The Long Range Plan is OUR plan – collectively. Present the Long Range Plan process at the January stated communication. The Masonic Home of Virginia is known as the Crown Jewel of Masonry. The primary mission of the Home is to embody the Masonic principle of care for others. Masons obligate themselves to constantly care for others. For that purpose, members of the Masonic Fraternity founded this community of care in 1890 and continue to support it through their financial gifts and with their volunteer efforts. Promote the Masonic Home, and support programs to raise funds for the Masonic Home (50/50 raffle, donations, etc). Meet or exceed average contribution to MAHOVA of $3 per active member of the Lodge. Promote the Shop at Amazon Smile program. Work with the District 1B leadership and other district lodge MAHOVA coordinators as appropriate to support MAHOVA. In 1992, the Most Worshipful Grand Lodge of Ancient, Free and Accepted Masons of the Commonwealth of Virginia adopted the Life Membership In Perpetuity Plan (L.M.I.P.). 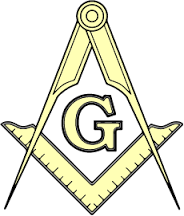 This program enables a Master Mason, in good standing, to purchase a Life Membership. Additionally, this program provides a perpetual endowment, which will continue to pay a participant’s dues to his subordinate Lodge even after his death. The Methodical Digest (Section 5.0) contains the legal wording which governs the Life Membership In Perpetuity Plan. Promote the LMIP program among members of the Lodge. Explain the costs and benefits. Communicate changes to the program when adopted by the Grand Lodge. Coordinate with the Grand Lodge Committee on LMIP. Specifically, establish a relationship with the Grand Lodge Committee member representing District 1B (currently Adam Christopher Duncan). Work to achieve a goal of 3 new LMIP members in our Lodge in 2018. The youth are an essential part of the future of the Masonic Fraternity. Encouragement and involvement on the part of Masons in the youth activities is necessary to spark an interest in and a desire to become a Mason or to perhaps one day encourage their spouse to become a Mason. The Lodge shall promote and foster youth activities. Promote and foster youth activities consistent with the principles of the Grand Lodge and the directives of the Grand Master. Coordinate with the Grand Lodge Committee on Youth. Act as a liaison between our Fraternity and the Youth Organizations – the DeMolay, Job’s Daughters, Rainbow for Girls, and the Boys and Girl Scouts. Ensure the Lodge visits or hosts at least three Youth Organization events (5 or more members of the Lodge for a visit o revent). VACHIP is a comprehensive child identification program designed to give families a measure of protection against the ever-increasing problem of missing children. Virginia Freemasons are the sole sponsor of VACHIP and we are proud to offer this comprehensive Child ID service to Virginia families at “NO COST” to parents and guardians. Coordinate with the Grand Lodge Committee for the VACHIP program. Support their efforts to promote the program within our Lodge and area. Our ritual is what sets our organization apart from others. Ritual is foundational to the Lodge, and is therefore something we will continue to strive to perfect. Assist the Lodge to become self-sufficient in conducting the ritual for all degrees by providing intensive, individual instruction to members and to the Lodge as a whole. Coordinate with the District Instructor of Work and ensure all District school events are communicated to the Lodge and well supported by the Lodge officers. Work with and develop Lodge catechism coaches. Goals is for each line officer to become a catechism coach. Work with at least one member of the Lodge to learn and deliver a lecture in 2018. Provide Lodge instruction on Monday nights. Also work wo support Wardens work on Wednesday nights, or other times as needed to ensure line officers achieve their wardens certificates. While Masonic ritual is foundational, Masonic education existential. Masons, in their quest to be better men, search, learn and grow in the principles of Masonry. The DEO will support the brethren of the Lodge in their thirst for knowledge, and ensure all brethren are well grounded in their knowledge of Masonic history, philosophy and symbolism, and enhance the leadership abilities of the members of the Lodge. Instruct the Brethren in all areas of Masonic education, except for ritual, which is the responsibility of the LIW. Coordinate with the Grand Provost, Division Provost, and District Education Officer (DEO) to promote educational activities within the Grand Lodge and District. Give a short (max 5 minutes) short talk at each stated communication. TB/Web Site/FB John Wilson (Chair) with assistance from Stewards/New Members Communication within the Lodge is extremely important. It is the responsibility of all Lodge officers and brethren to communicate freely and extensively with our members about upcoming events, important issues impacting our Lodge, and committee efforts. The Trestle Board has been a long-standing key communication tool within Masonry in general, and our Lodge in particular. However, the use of email, our web site, phone calls, and other forms of social media must be considered and utilized as appropriate to ensure communication is effective and reaches all intended members and audiences. This committee will look at our communication tools, support the development and use of those tools, and recommend changes and additions to further enhance our communications within the Lodge. Review and update our Lodge web site. Make recommendations on the appropriate use of the web site for content and communications. Review and make recommendations on the effective use of email to correspond with Lodge officers and members. Review and make recommendations to the content to include in the Trestle Board, and the method of delivery. Look at other social media platforms (Facebook, Twitter, etc) and make recommendations on the possible uses and adoption of such media platforms. The Lodge has three Trustees, each elected by the members of the Lodge for a three-year term, with their terms staggered to ensure continuity. Their function is to hold legal title to the property of the Lodge. They shall invest such funds which the Lodge may make available to them either by direction of the Lodge, or in the absence of such direction, to the best of their ability. At the December stated communication of the Lodge the Trustees shall make an annual report of all property and investments in their hands. Their accounts shall be audited annually by the committee appointed by the Master for that purpose.